NOTE: Click any image to see a larger view. 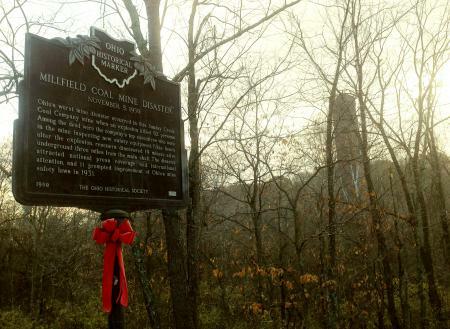 Ohio’s worst mine disaster occurred in this Sunday Creek Coal Company mine when an explosion killed 82 persons. Among the dead were the company’s top executives who were in the mine inspecting new safety equipment. 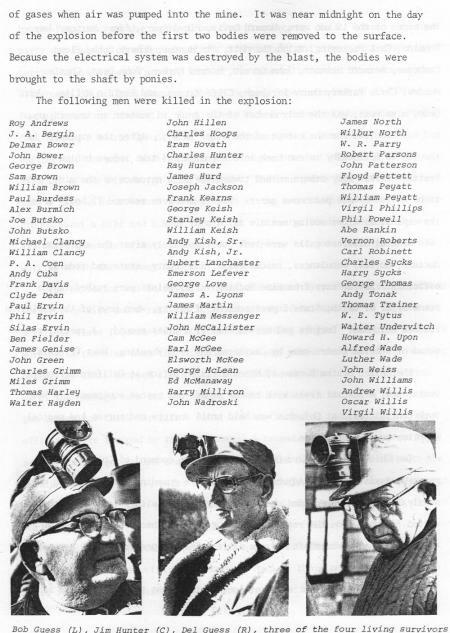 Nine hours after the explosion, rescuers discoverd 19 miners alive underground three miles from the main shaft. 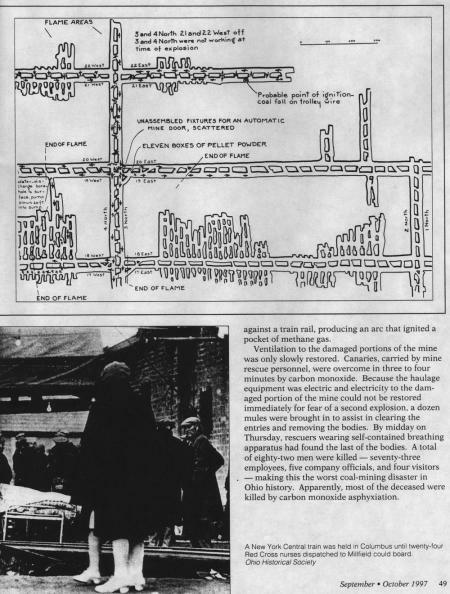 The disaster attracted national press coverage and international attention, and it prompted improvement of Ohio’s mine safety laws in 1931. 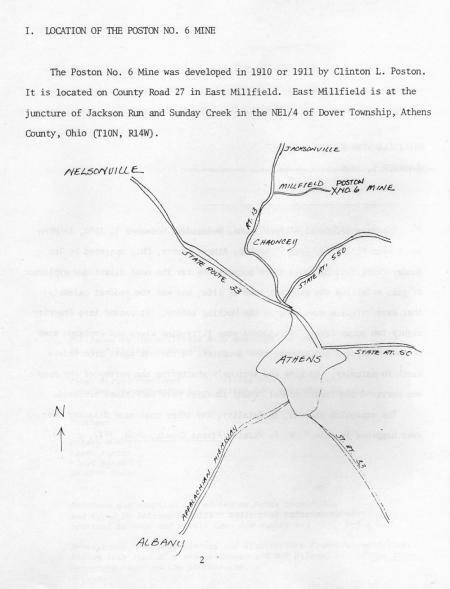 This marker was placed along Millfield Road in 1980 by the Ohio Historical Society. The site was listed on the National Register of Historical Places on May 23, 1978. It’s only in recent years that the land has been closed to foot traffic. Last year, part of a collasped shaft was filled with concrete. The old mine is located on private property and today a gate blocks access beyond a small pulloff. A smoke stack is all that’s visible of the old complex. 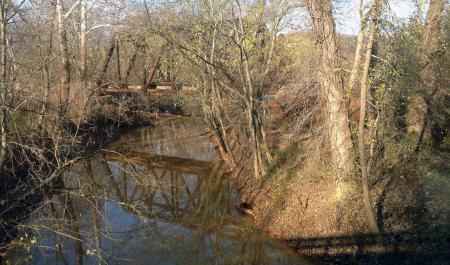 The train track that carried coal from the mine crosses the Sunday Creek near Millfield. 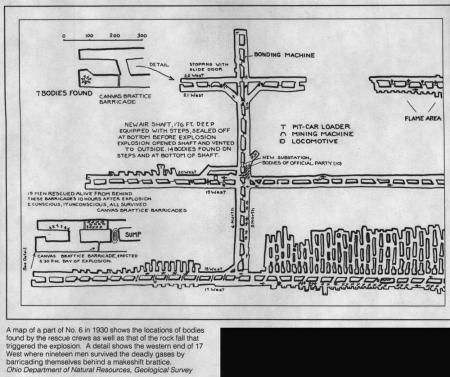 These maps from the magazine Timeline show the location of equipment and miners at the time of the explosion. 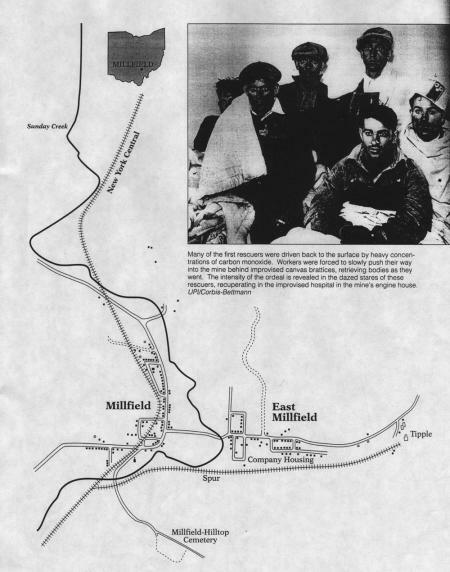 The mine was located on the eastern edge of Millfield in Dover Township. 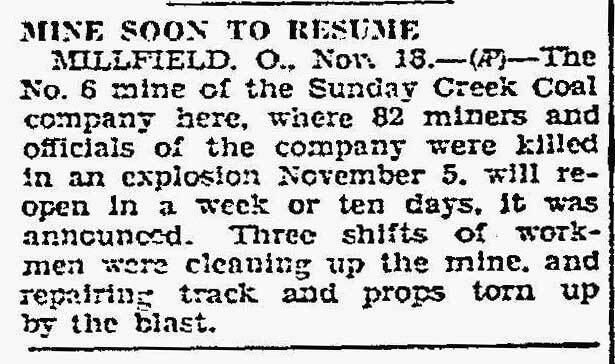 The mine had been in operation for about 20 years at the time of the explosion. It reopened a month after the accident and remained opened until 1945. The last known survivor, Sigmund Kozma, died in 2009. He was 97 years old. A complete list of those killed in the explosion.